This is something special. This isn’t just the small matter of being one of the best games of the year, it’s also the emergence of a stellar new talent in gaming. World Of Goo is so stunningly designed, so beautifully illustrated, so precisely programmed, and so completely adorable that any of the greatest development companies in the world would be proud to release it. 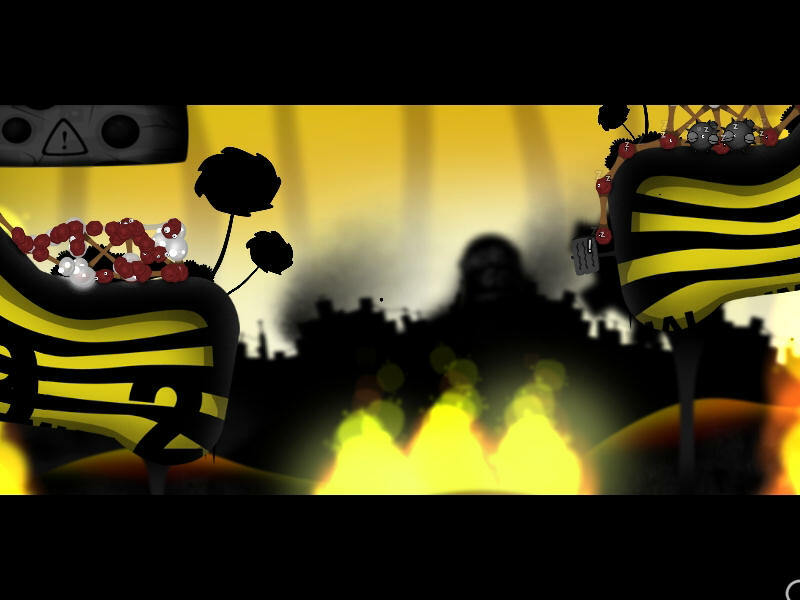 That this is a tiny indie dev’s first release – it is beyond belief. Small blobs of Goo, when put near one another, form rigid bonds. Connect enough of them together and you can build towers and bridges along which unconnected Goo can saunter. The goal in the majority of levels is to see particular balls of Goo reach a pipe opening, into which they are satisfactorily sucked. There’s your raw concept. Now apply four hundred million gallons of imagination. If you played the previously released Chapter One (as part of the pre-order bonus), you’ll have a good idea of the basics. 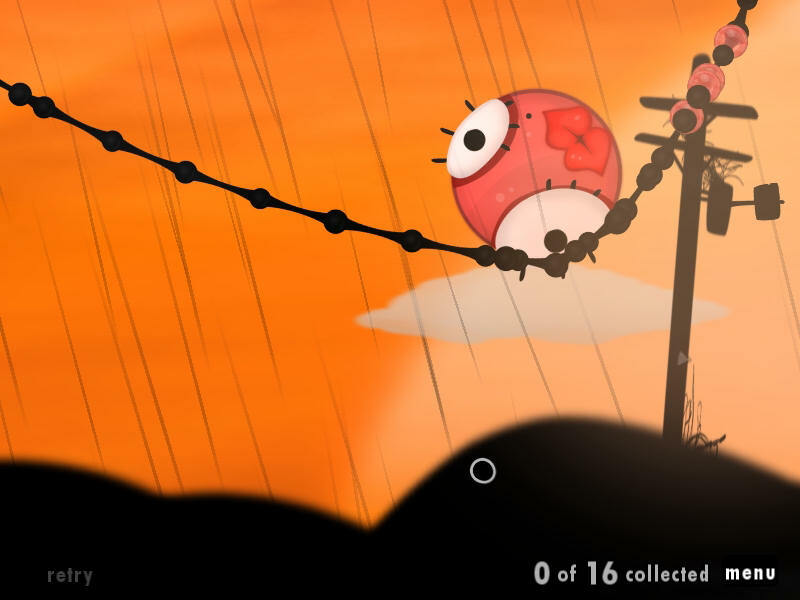 The core puzzles (build a bridge to traverse a gap, climb your way to an overhanging pipe, avoid dangerous spinning cogs to reach an awkward spot, and so on) are the frame on which vast amounts of joy is draped. Building on top of the core – an engaging and engrossing puzzle game – they’ve created something of elegance and elation like little else. So I thought I knew what the game was about. Both Tower Of Goo – the experimental semi-game that tested out the physics behind this all – and Chapter One gave me an idea what to expect. Well, ten or fifteen ideas. I would have been so delighted with four chapters of the same. But this is more. This is a game that constantly reinvents itself, reimagining the possibilities, evolving and throwing out surprise after surprise. The most obvious of these elaborating factors is the art. It is, just beyond belief, beautiful. 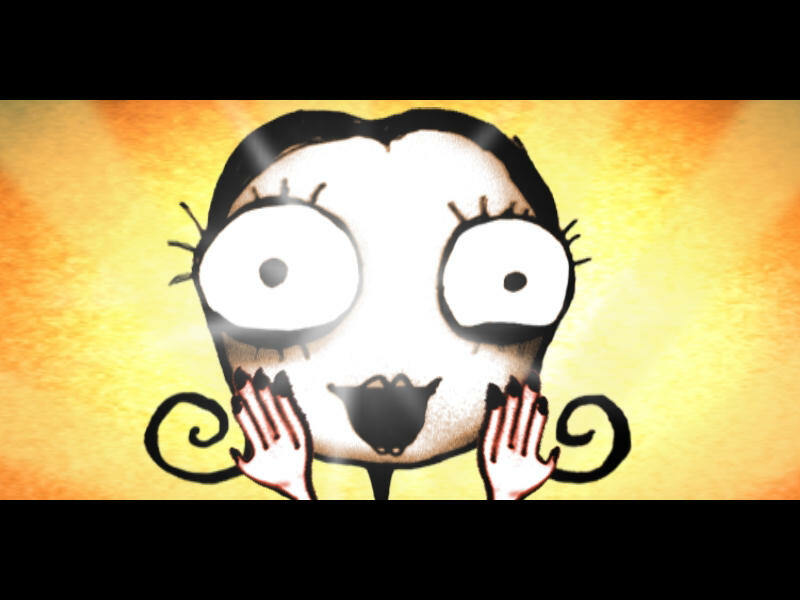 The cute, fuzzy design is reminiscent of something halfway between Tim Burton and Tim Schafer. Its 2D appearance is deceptive, with multiple layers moving independently to create an organic world that ebbs and swells like a tide. And like so much with the game, if you’ve seen the first chapter, you haven’t seen a quarter of what it’s going to do with its art design. There’s an internal logic to these developments, the game structured around a year of passing time, cycling through four seasons, and four technological ages. Next most immediate is the music. This is all the work of 2D Boy, and – look, I’m well aware how much this already bulges with mad enthusiasm, but believe me, play it and you’ll understand – it’s just gorgeous. It’s the best in-game music I’ve heard since… I’m struggling here. It might be my favourite game music. (Perhaps if you asked me to pick between this and Samarost 2, I’d be in trouble). Minute-long pieces loop so neatly that the tunes never become repetitive or irritating. On a number of occasions I’ve task-switched out of the game to do other work and left pieces playing. Then comes the rest of the audio. The use of sound is impressively intelligent. 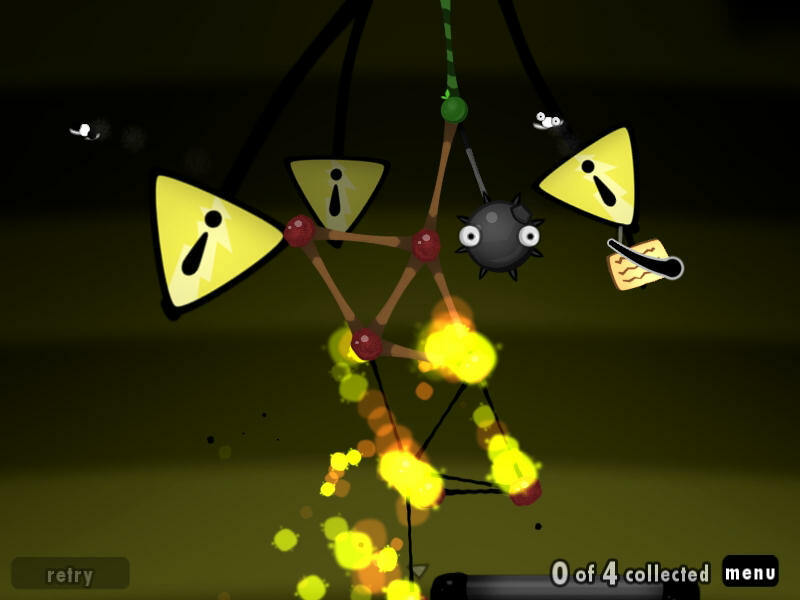 There are many different types of Goo Balls encountered throughout, each with distinct properties (some can be plucked from structures and reused, others are rendered inert once used, others might be helium balloons, more still are explosive, and so on), and while visually distinctive, their unique sound effects play a big part in remembering which is which. Clear-white Goo acts as water, forming only one bond, and dangling downward. Move one and it makes the loveliest “pa-lip!” noise. The Goo Balls are chatty too. Babbling mostly nonsense, I’m convinced one cry is “UNATCO” in the strangest tribute to Deus Ex I’ve encountered. But I might be mad. And of course, if you bought the pre-order, you’ll get the package that switches all their cries to swearing – something of which we clearly approve. I go into all this detail because, well, they did. And it’s important to get a sense of the passion and effort that went into every element, allowing this to be so much more than another cute puzzle game. But obviously what’s most essential is the puzzles. And it’s here that World Of Goo has its best surprises. Of course, puzzle games are loved or lost based on the balance of challenge and infuriation. This is where it becomes most overwhelming that this is 2D Boy’s first game. Each new screen immediately looks daunting, but then quickly reveals its opportunities. The design is consistently smart, putting subtle clues in place, attracting your attention in the right direction. This is a game that nudges you into having a great idea, rather than ever telling you what to do. You get all the glory. To go into too much detail at this point would be to rob you of the crucial surprises, so let’s be vague. The core concept – forming rigid bonds between Goo Balls – would be enough to entertain you for a long time. But World Of Goo never rests on such laurels. And had it, it might have succumbed to that all-to-easy route so many puzzles games take: to just make it more difficult. While there is definitely a skill curve here, it’s one based on what it’s previously taught you. That’s the joy – each new level says, “Okay, you’ve proven you can do everything up until now. So what if we do this?” This might be removing something you thought was essential, or introducing a new, bemusing obstacle, but it’s more likely to be a completely new Goo Ball type, or entirely original setting for a challenge. You’re more likely to encounter a difference that required the most effort for the developers, resulting in the largest amount of pleasure for you. Why ask if you can make the Goo Balls reach slightly farther than before, when instead it could ask what you might do if the Goo Balls could fly. This is best captured for me by one particular new Goo in Chapter 4. I won’t say what, obviously, but when I first clicked on it to move it, I genuinely gasped out loud with joy. A real, audible gasp. It was so beautifully tactile, so satisfying to interact with. And I realised, wow, this is another stunningly executed mechanism that could have sustained its own puzzle game. Accompanying you along the way, and acting as another prompt if you need a nudge, is the Sign Painter, a constant companion who offers messages in each level from wooden signposts. Messages that are invariably incredibly silly, and one of the sources of the game’s awesome humour. Early on these act as a modest tutorial, letting you know what different Goo types are capable of. But as the game progresses, the signposts become much more about exposition, hinting at the game’s deeply peculiar story. 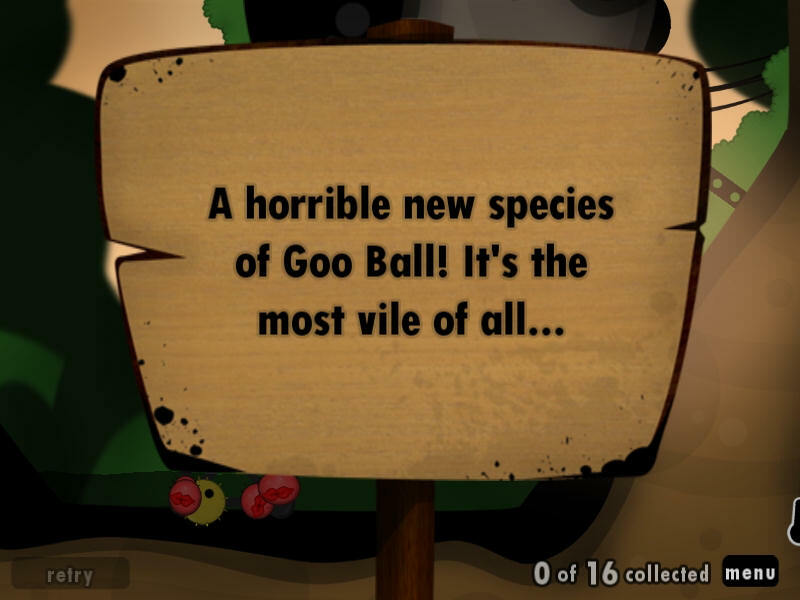 World Of Goo is funny at every opportunity. From the Windows installation to the closing credits permeates a gleeful silliness. The nonsense barks from the Goo balls, the ten second cut-scenes between some levels, the backgrounds (hi MOM! ), the loading messages, and the World Of Goo Corporation all generate beaming smiles. 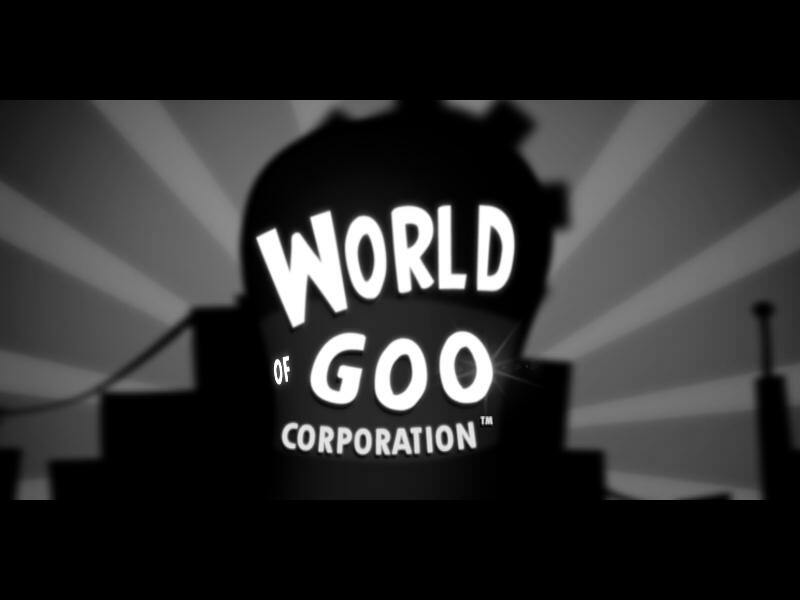 The World Of Goo Corporation. Who is behind this mysterious, black-shrouded industry? And what has it to do with sending small blobs into pipes? I’m not telling (because the story is so utterly bizarre that I don’t think I could if I wanted to). It serves to offer betwixt-level entertainment. Each level has a minimum amount of Goo that needs to be recovered, but there’s always many more available. Any extra you might recover appears in the Corporation area, which you use to build a tower. As you do this, you’ll see floating clouds in the sky above you showing the height other players have managed. Ascend beyond, and your cloud will become the target for others to beat. Which means I’ve been going back to levels, desperate to do better, realising the game’s immediate replayability. Using tricks and techniques I’ve picked up along the way, I can now do a lot better at Chapter One’s challenges, recover more Goo, and build a taller tower (up to 300 balls, where it cuts you off from adding more). In fact, each level has an “OCD” challenge (Obsessive Completion Distinction Criteria) – an additional, optional challenge. Perhaps to collect an exceedingly high number of Goo, or to complete a level in a certain time, or in a certain number of moves. These are frequently stunningly high targets, and I’m entirely bewildered at how some could ever be possible. Until that moment of inspiration appears, and you realise yet another way you could approach a situation. This is unbridled joy. There must be stuff wrong. Well, not really, no. There’s a couple of tweaks that would improve things. The first is the very occasional frustration of not being able to select the Goo you’re after, because of too many others getting in the way. While you get the Whistle in Chapter Two that lets you call Goo toward your cursor, it’s sometimes not enough to clear a gap, and it can occasionally be a pain. A neat way to reach to the back would be a nice addition. And it would be great if the button to restart a level didn’t disappear after you’ve completed it. That might sound odd, but if you’re aiming for an OCD score, you might not know you’ve missed it until the regular target is complete. So to restart you have to go out the level and start it over again with the introductory sequence once more. Exceedingly minor, but it would be a bonus to keep that button. Really, that’s it. 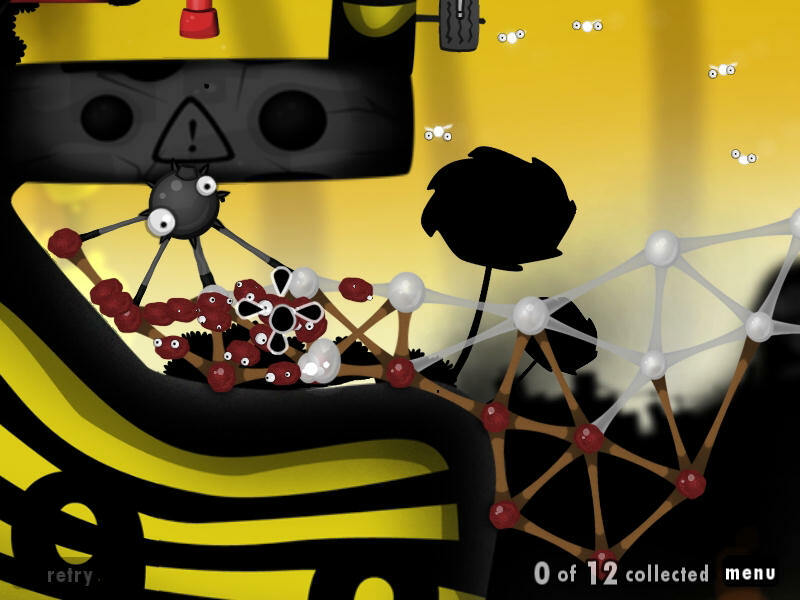 Two guys, sat in coffee shops all day long, made the best puzzle game in many years. I’ve given a great deal of thought before saying the following, to be sure I mean it. It’s not a statement to throw around: It’s hard not to think about David Jones at DMA, coming up with Lemmings. There is a fierce intelligence at work here, from a two-man team overflowing with phenomenal talent. It’s a rare pleasure to find a game like this – one I’ve come back to again and again a week after completing it. 2008 seems to have marked a rise for the remarkable independent developer. Not only is the little guy influencing the megacorps, but he’s making some money out of it too. 2D Boy deserve to be at the front of this pack, their game a thing of astonishing joy. I’ve seen the broadest beams on the faces of colleagues trying to describe it. I’ve beamed throughout myself. Moving through the four seasons of levels has made me feel just so happy. Happy because of its wonderful atmosphere, and happy because it’s just so extraordinarily good. 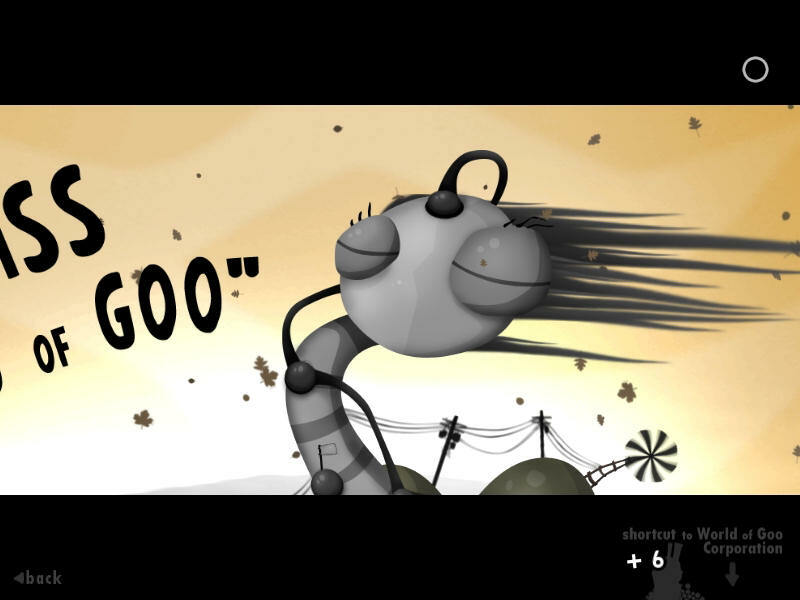 I adore World Of Goo, I want to show it to everyone I know, I want to use it to convince people that gaming is smart, and witty, and brilliantly original. I’ve run out of ways to say this: It’s beautiful. John: Oh, I should let the others say something. What do you guys think? 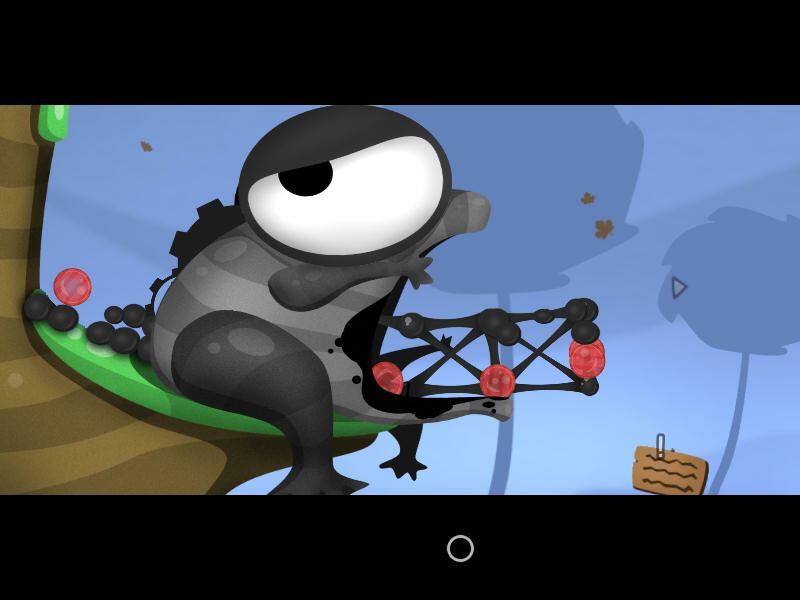 World Of Goo is out in October, and we think sooner rather than later. You can pre-order it here. Tagged with 2dboy, feature, indie, review, verdict, World of Goo.